Arlington, TX is part of the Dallas-Forth Worth-Arlington metropolitan area. The Texas Rangers and Dallas Cowboys both make their home in Arlington. Midway between Dallas and Fort Worth, the city has long been home to Rangers baseball and now also hosts the Cowboys. Their state-of-the-art structure is the world’s largest domed arena. Visitors looking for other activities can visit the original Six Flags Over Texas which includes fun rides, shows and other events. In the summer, Hurricane Harbor water park offers welcome water fun. Arlington also has a rich culture of diverse live music, a symphony orchestra, museums and theater. Arlington features a popular outdoor space, Levitt Pavilion, which offers free outdoor concerts from eclectic artists in many genres. Every Fall the performing arts season opens when Theatre Arlington and Symphony Arlington opens its doors. If it’s visual art that excites you, Richard Greene Linear Park is home to the Art on the Greene Festival in May, an annual favorite that features dozens of artists from across the country. The Arlington Museum of Art offers fascinating exhibitions that include a broad range of visual art, both local and international. When you get hungry after a busy day of sightseeing, or are simply waiting for your glasses to be ready, Arlington offers a full range of eateries. Craving a burger? Try Twisted Root Burger Co. Mexican sounds more appealing? Mariano’s Hacienda is famous for its authentic Mexican dishes. 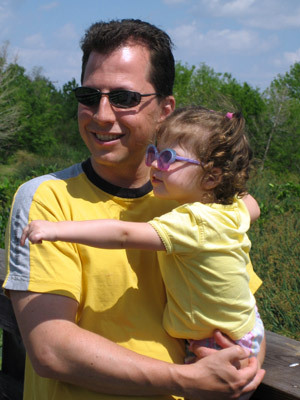 As an eye care expert serving the Arlington area, Dr. Kevin Smith provides exceptional eye care services for family members of all ages. Dr. Smith provides thorough and professional eye examinations, screening for vision problems as well as eye disease. An eye examination at Advanced Vision Care includes screening for eye diseases, including glaucoma, cataracts and macular degeneration. We use the most current, cutting-edge technology, including advanced OCT (digital retinal imaging) technology for your eye and vision tests, to determine whether you need vision correction, and to diagnose eye disorders. Interested in finding exceptional frames? At Advanced Vision Care you will find a great choice of eyewear, suitable for every member of the family. We carry a broad range of designer eyewear, including Tom Ford, Roberto Cavalli, Gucci, and many others. In addition, we offer a broad selection of sunglasses to protect your eyes from damaging UV rays. Need contact lenses? We carry contact lenses by leading brands, suitable for daily, or weekly schedules. Today contact lens options are almost endless, so our eye care expert in Arlington, TX will find the best contact lenses for your eyes. Whether it’s contact lenses or glasses that you are looking for in Arlington, our staff are trained to help you find the perfect glasses or contact lenses for your eyes, your budget and your style.